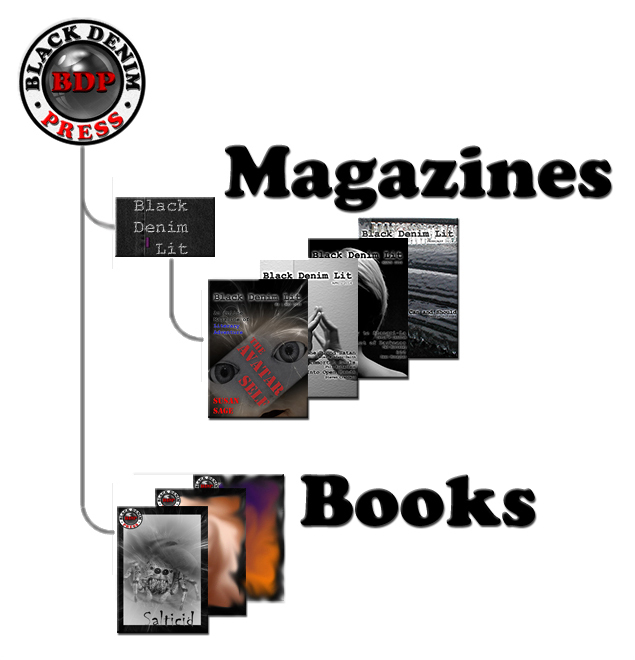 Black Denim Lit is an imprint of Black Denim Press, LLC. Black Denim Lit welcomes thoughtful writers, new and established. Without entering into a debate as to what qualifies as "literary," we are looking for fiction up to 7,500 words that has unique and lasting artistic merit. We may consider novelettes up to 17,500 words on a case by case basis. We accept novel query letters, including no more than 5,000 words in the query. Does the denim reference imply that we are looking for only "American" stories? No. The work we love comes from all over the world--Afghanistan, India, France, Korea, China, Australia and so on, written by students, graduates, academicians and working-class folk. They are all writers, meaning they write out of pure love for the art form. It shows. As of February 2, 2018 we're permanently closed for submissions.